Fly Free to Europe this fall with AmaWaterways and experience Europe as the locals do, with less crowds and amid brilliant fall foliage. Inhale the festive aroma of fresh roasted chestnuts as you explore grand cities and storybook villages along the legendary Danube River, the awe-inspiring Rhine or France’s Garonne and Dordogne rivers through the celebrated Bordeaux wine region. You’ll learn timeless traditions, encounter fascinating UNESCO World Heritage Sites and indulge in mouthwatering local wine and delicacies. 7-night Nuremberg to Vienna cruise (or reverse) Can be combined with 3 nights pre-cruise in Prague and 2 nights post-cruise in Vienna (or reverse) Fall in love with Old World Europe as you let the melodious Danube serenade you. Discover places where history is not only portrayed but an essential part of daily life, as in the medieval city of Nuremberg, which is also steeped in WWII history. Pair world-renowned Rieslings with Austrian apricots, crisp Wiener schnitzel, German sausage and fresh-baked pretzels. 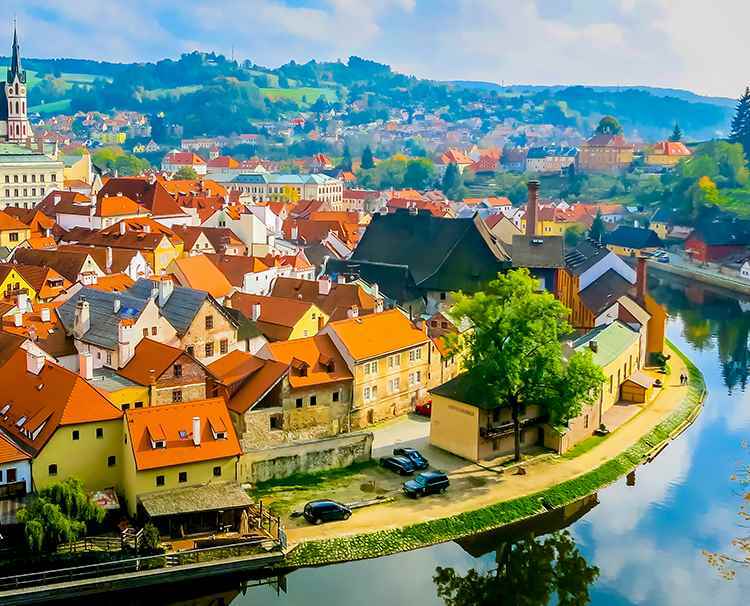 Explore UNESCO World Heritage Sites, including the historic city centers of Prague and Vienna, the Old Town of Regensburg, and Austria’s famous Wachau Valley. 7-night Budapest to Nuremberg cruise Can be combined with 2 nights pre-cruise in Budapest and 3 nights post-cruise in Prague Discover a wealth of art, history and cultural treasures as you cruise to some of Europe’s most famous destinations. From Budapest, journey to Bratislava, Vienna, Passau and the 2,000-year-old town of Regensburg, a UNESCO World Heritage Site. 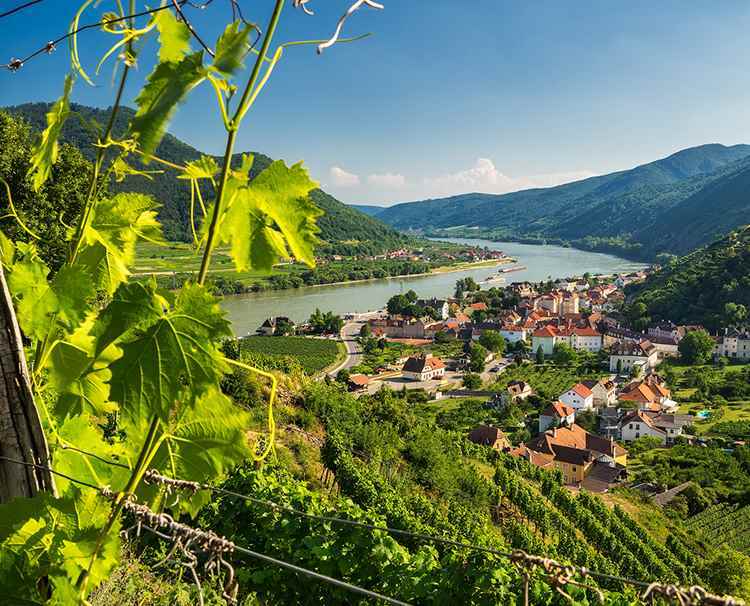 Along the way, visit magnificent cathedrals and Baroque abbeys, sample Vienna’s sinfully rich sachertorte cake, experience the breathtaking scenery of the Wachau Valley winemaking region and traverse Europe’s Continental Divide. 7-night Nuremberg to Vienna cruise (or reverse) Can be combined with 2 nights pre-cruise in Prague and 2 nights post-cruise in Vienna (or reverse) An overflowing of good tidings comes alive on this dreamlike journey. 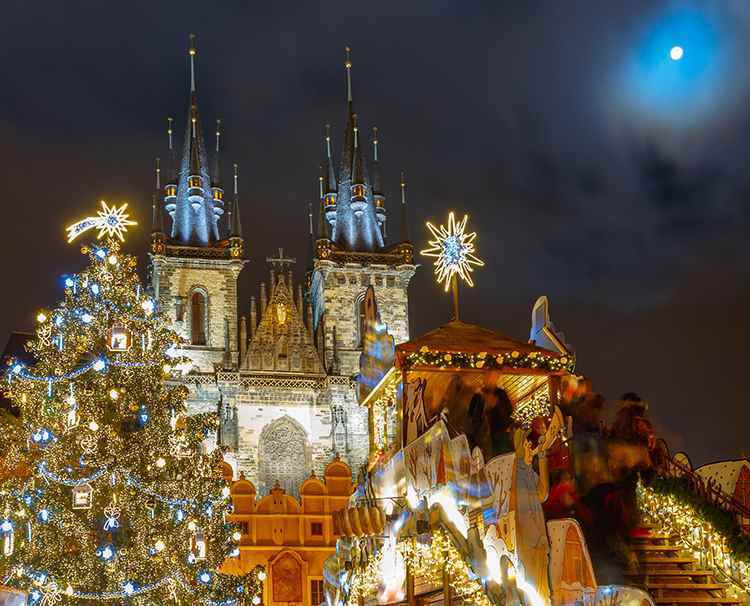 A winter wonderland awaits you at Prague’s brightly decorated Christmas Markets with delicious scents flavoring the air. Be spellbound by the medieval atmosphere of Nuremberg and stroll through Regensburg’s romantic market at the Thurn and Taxis palace, savoring fresh dumplings with vanilla sauce. Delight in the magic of Salzburg’s Christkindlmarkt, located at the foot of the Hohensalzburg Fortress. And visit enchanting Viennese Christmas markets, from the regal Schönbrunn Palace to Rathaus, with its carousel rides and pavilions. At 766 miles, the Rhine River is the longest river in western Europe. Its origins have been tracked to the melting glaciers of the Swiss Alps, which once glistened over sparkling quartz pebbles, the original “rhinestones.” Gemstones aside, the Rhine is treasured by more than 58 million souls who live within the nine nations along its path. Its most breathtaking 90 miles reveal medieval villages, historic vineyards and more than 40 storybook castles. So historically significant is the Upper Middle Rhine Valley that it has been designated a UNESCO World Heritage Site. 7-night Basel to Amsterdam cruise Can be combined with 2 nights Zurich and 2 nights Lucerne pre-cruise Grand cities blend in perfect harmony with their historic past and progressive future. Zurich’s medieval houses offer a striking backdrop to its ultra-modern metropolis. 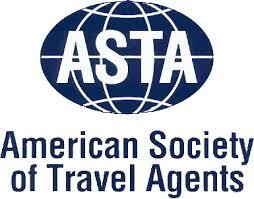 And Amsterdam’s Golden Age melds seamlessly with its lively cafes, exciting nightlife and glorious museums. Inspirational towns have given way to great stories, poetry and music, like Heidelberg, where Mark Twain wrote A Tramp Abroad. 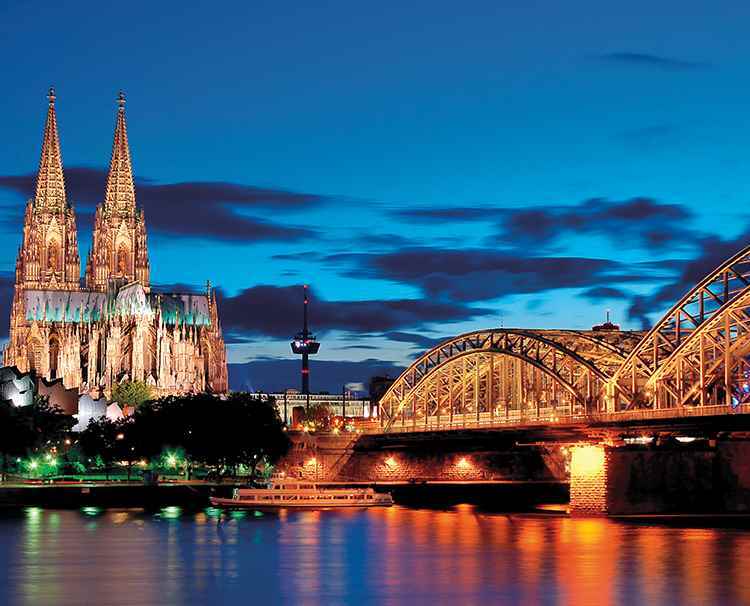 Take a front-row seat on an enchanting journey along the Rhine. 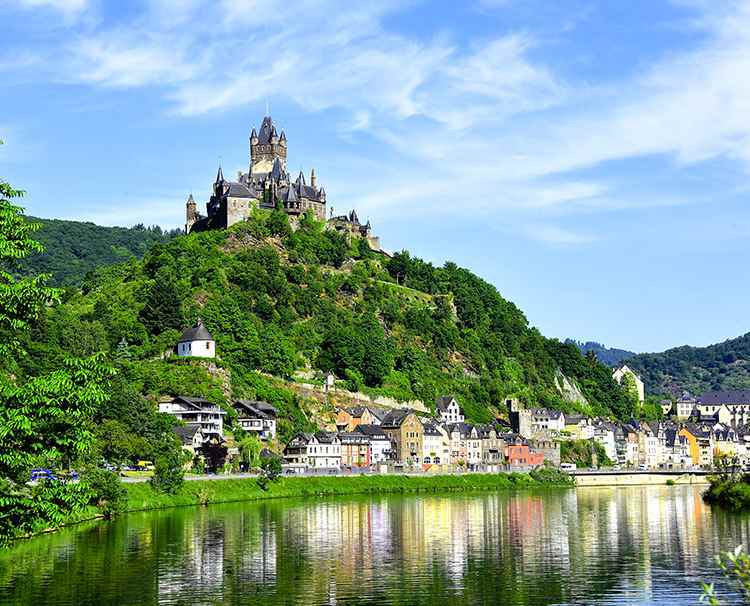 7-night Nuremberg to Luxembourg cruise Can be combined with 3 nights Prague pre-cruise and 2 nights Paris post-cruise From the meandering Main to the UNESCO-designated Upper Middle Rhine Valley with its multitude of castles to the vineyard-clad hills of the Moselle, enjoy Europe at its most picturesque. 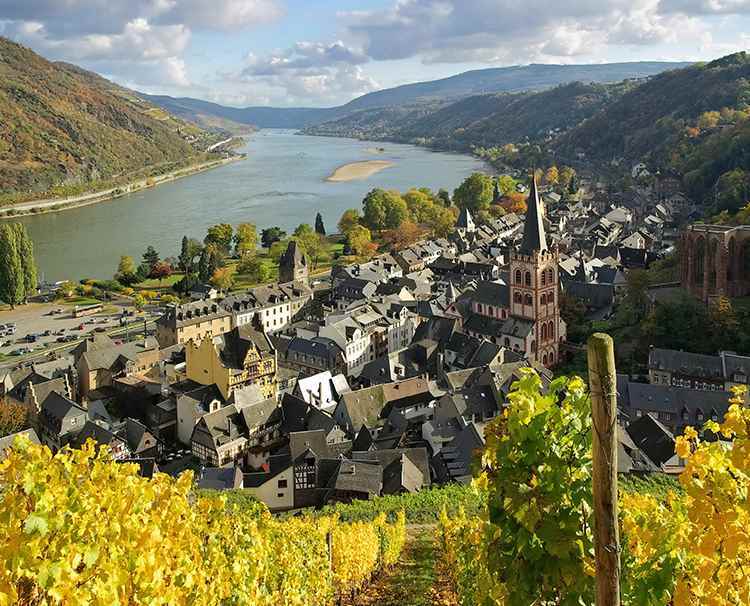 Let the storybook villages—Wertheim, Bernkastel and Cochem-captivate you. Marvel at the world’s largest ceiling fresco in the UNESCO-designated Wurzburg Residence, as well as beautiful Chagall windows while in Mainz. 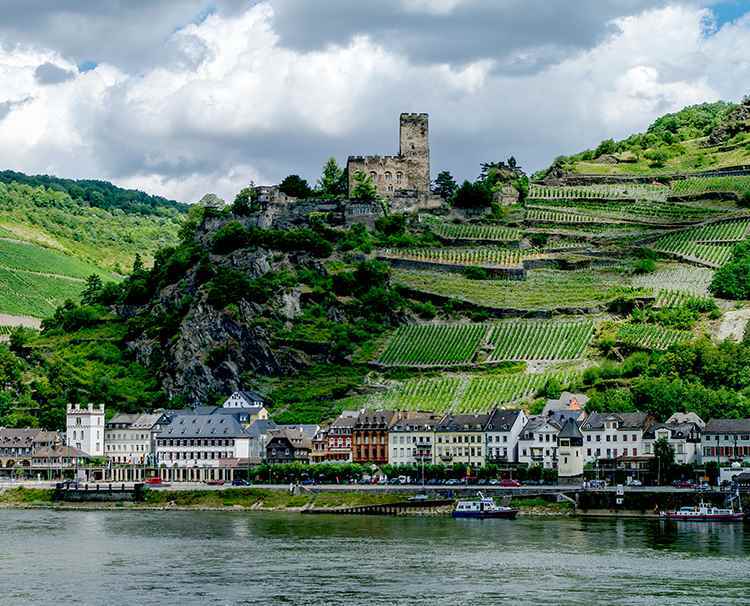 Sample the world-famous wines of the Rheingau, the hearty smoked beer of Bamberg and Rüdesheim’s famed coffee and gain an intimate understanding of the places you visit. n the corner of southwestern France, the Garonne and Dordogne rivers merge together to form the Gironde Estuary, which naturally divides the Bordeaux region into the Left and Right banks. 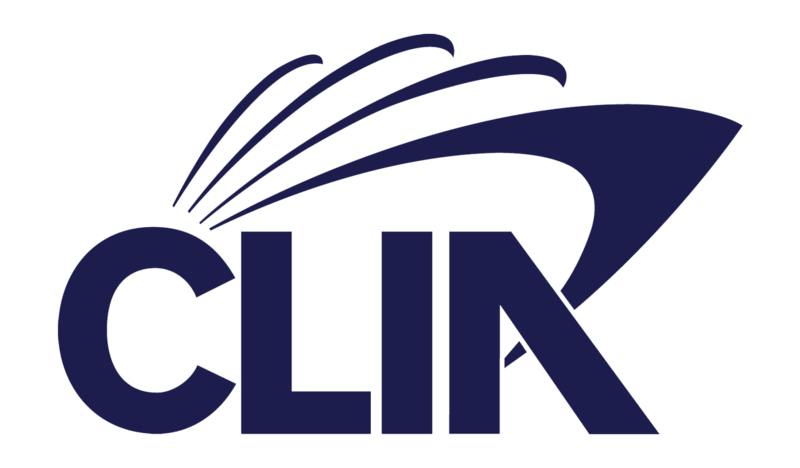 The left Bank is more flat and gravelly, producing vines that give life to rich red and sweet white blends, while the Right Bank boasts limestone and clay soils that produce some of the world’s best Merlot-based blends. Travelers from around the world flock to this region that is well known for its wine and other tantalizing gastronomic delights. 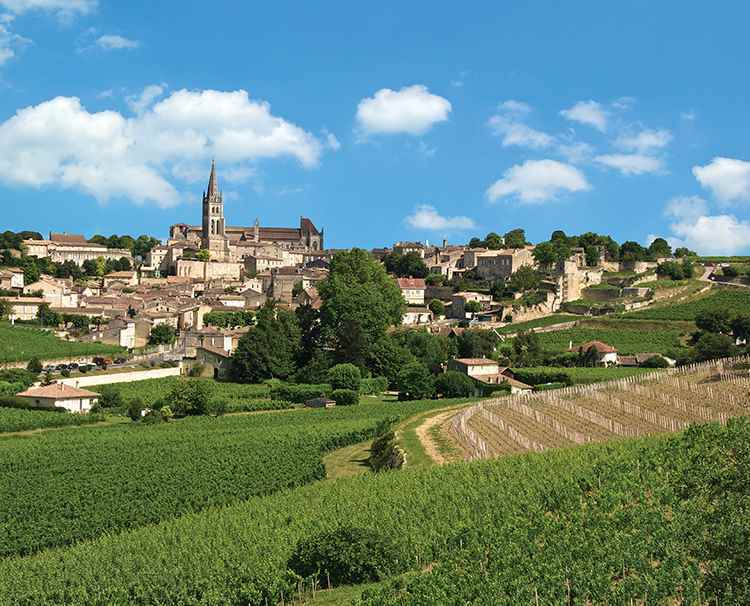 7-night roundtrip Bordeaux cruise Can be combined with 2 nights Paris pre-cruise and 2 nights Loire Valley and 1 night Paris post-cruise Rendezvous in Paris before traveling to Bordeaux, one of the world’s undisputed wine regions. Glide past fiery orange and crimson leaves in milder autumn weather. Amid less crowds, you’ll sip reds poured from bottles just matured and take in the romance of the French countryside. Iconic châteaux, timeless vineyards and delicious wine tastings are plentiful as you visit Cadillac, Pauillac, Saint-Émilion and Libourne. Be treated to an exclusive experience in Bourg, featuring live French music, dancing, wine and hors d’oeuvres.